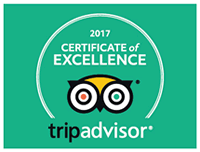 All rooms are designed to a very high standard, with flat screen televisions, tea and coffee making facilities, iron and hairdryer on request. All rooms are named relating to the village. Talhaiarn ; after the poet and architect, double room with bath and shower. Barog ; stream that runs underneath the village, double room with shower. Garthewin ; mansion house with beautiful gardens, twin room with shower. Elwy ; the river you cross to get into the village, king size room with bath and shower. 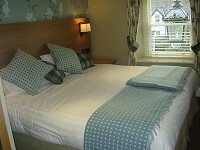 Bodran ; a 287m hill just across from the pub, king size room with bath and shower. 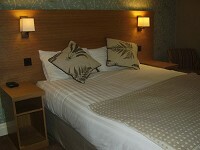 Elwy and Bodran can be family rooms with a charge of £10.00 per child. Check in is after 2.00pm and rooms to be vacated by 11.00am, breakfast is served from 8.00 am, earliar on request. Special diets can be catered for with advanced notice.